Thanksgiving! One of my favorite holidays. I love the food and the family gathering round the table. Taking stock of our blessings. Eating in the afternoon and then having a leisurely evening to go for a hike and just hang out. 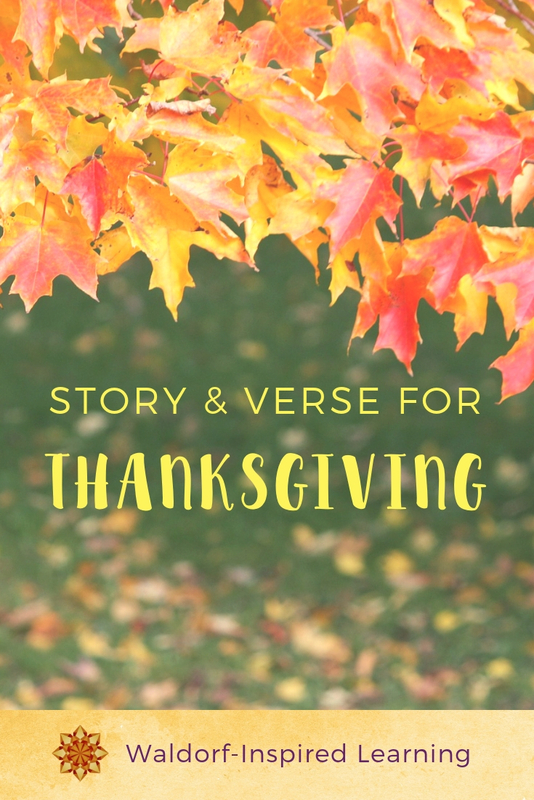 I want to share with you a Thanksgiving story and verse from my family to yours, plus an activity for expressing gratitude. Our family likes to write what we’re grateful for on paper leaves and then hang the leaves on a branch or make them into a garland. A wonderful Thanksgiving activity and beautiful decoration. We have even put the paper leaves in a bowl as a centerpiece. Here is a story for you to share with your children this week amidst all the preparations: the story of The First Thanksgiving from Stories of the Pilgrims by Margaret Pumphrey. 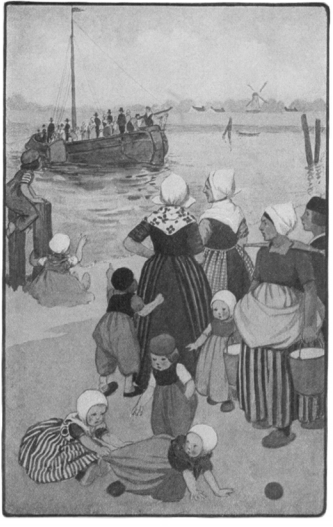 The chapter ends with the poem below. Enjoy! The golden corn and the pearly rice? And the fruit from the orchard trees? “Then lift up the head with a song! And here are some more stories to share during Thanksgiving week. What a nice story. 🙂 Thank you. This is my first time visiting, but will be back as I am looking to begin homeschooling my 9 year old soon. I’m curious about your techniques.